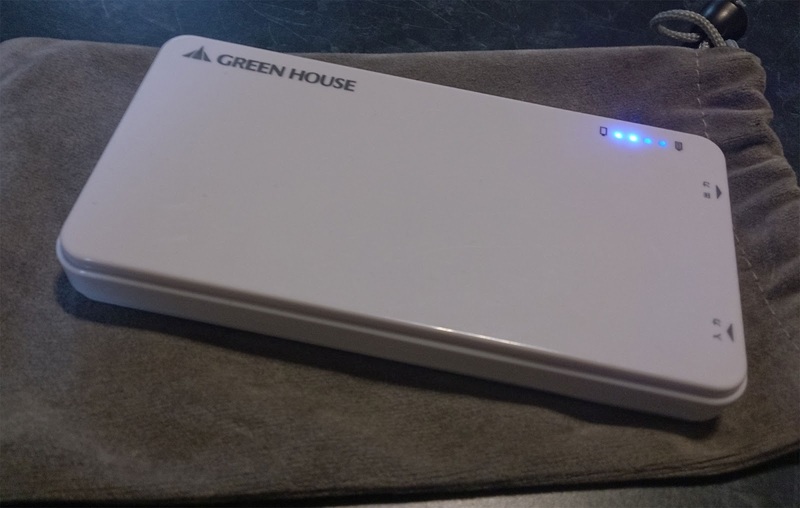 I recently bought a junk external battery pack from Green House. It had mixed reviews, that were mostly good, so I just may have gotten a defective one. It is supposedly a 4200 mAh battery, but it can only charge my phone to about 50%. This seems to because the external battery itself doesn't seem to fully charge. 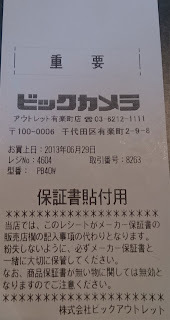 So I need to take it back to the store, but in Japan, the original receipt may not be enough to return a product. You will most likely need the warranty slip, which is often printed by the store at the time of purchase, so don't lose it. Even with all of this, don't ever expect to just get your money refunded. At best, you'll get in-store credit. If it has been over a month since you purchased the item, you may have a hard time returning it. They'll probably give you another of the same item off the shelf. Because I purchased this at the Bic Camera Outlet (with WAON points, along with a washing machine), this is slightly different that what you may typically receive. Even if this was purchased at a normal shop, I'd still most likely need the included warranty slip in I had to return the product. Yeah, though it really depends on the fine print in the individual warranties. If it is going in for service, and it's a large expensive item, the lack of packaging won't be a problem. However if you are just trying to return or exchange it, then it'll obviously be a problem. With the drive, you might have been able to do through the maker. But at least you got it done. 1/ When you buy something, test it asap. 2/ Until it's fully tested, keep everything (packaging, docs, etc), including especially warranty slip(s) and receipt. 3/ If it has an issue, go back to the store and get a refund or a replacement unit (store policies vary about what's possible). The store will not take it back without packaging and receipt, or if anything inside the box is missing. 4/ Refund or exchange at store: max within a week. It will get increasingly (exponentially) difficult passed this delay. 5/ When asking to a store for a refund/exchange, say that the thing has been dead or malfunctionning from day 1. Otherwise they might ask you to contact maker directly. 6/ When asking to the maker's after-sale service for a repair or replacement, say it worked originally and then stopped working. Otherwise they might ask you to contact the store to get a replacement. 7/ Maker's after-sale service will only ask for the broken device with its accessories, and the warranty properly filled-in. 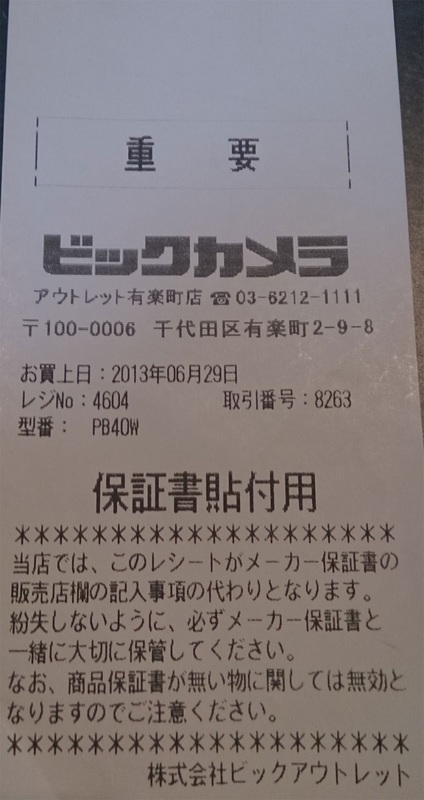 Depending on how the warranty's been written (or stamped), you might need the original receipt as well, so you better keep that receipt until warranty has expired (personnally I always stapple them together). These rules have been working for me, no stress and no issue at all. Yeah, I found shops to be somewhat miffed if you try to return defective products. I bought a simple battery charger from Sofmap and it didn't work, so I went back and exchanged it the next day. The sales associates all thought I didn't know how to use it or there could never be a defective unit. Lo and behold they were "so ka..." when they plugged it in and tested it and it didn't do anything. I think there's an expectation that quality control in Japan is quite good, so defective units are rare. But it does happen--I mean, I wouldn't go all the way back to Akihabara to exchange a 2000jpy battery charger out of spite or malicious intent. I just want a working charger! Just did a RMA on my wife's Nexus 7 (which used to be my Nexus 7 before I got the 3G model). ASUS Japan are pretty good with the process. Gave them serial number, address and they're dispatching Pelican to pick it up saturday morning. They wanted all the bits too even though its obviously a problem with the main unit. Only issue with ASUS is their business model appears to call for keeping the customer on hold until the warranty expires or the customer dies, whichever occurs first.